BIDEFORD BAY HOLIDAY PARK is situated just off the main A39 holiday route between Bideford and Bude. Manor House itself on site was built in the late 1800's to benefit from the sea views which are on offer. The site itself is situated on the coastal path and the Atlantic Highway, Bideford Bay Holiday Park is a great base camp for people looking to explore the rugged coast line and numerous walks nearby including Clovelly, Bucks Mills beach and popular tourist destinations such as Westward Ho! Bude and Widemouth Bay are all within just a short drive away. 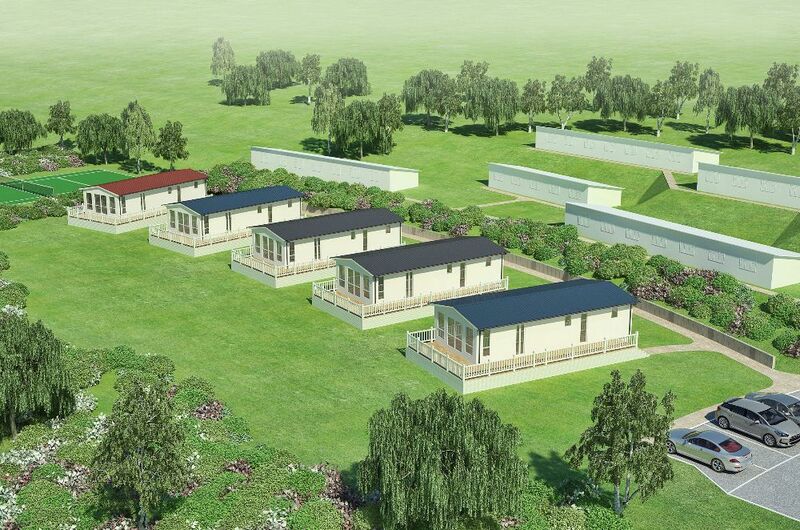 The site has no restrictions and the lodge has 12 months holiday usage with no restrictions and also benefits from having the use of all the facilities on Bideford Bay Holiday Park with entertainment, indoor and outdoor swimming pool and other activities which run throughout the year. Please note that the accommodation comes fully floored as well as the kitchen being fully equipped with appliances and also with furniture for all rooms, which will be disclosed via an inventory on purchasing. Each lodge benefits from its own decked area, which wraps around part of the Lodge and each Lodge will have its own allocated lawned area and parking area. 50 year lease from new. Please note that the photographs on this brochure are for the 2015 Willerby Clearwater 40 x 20, 3 bed, £105,995 this price is an all in price and includes site fees until 2017. Gas & Electric pay individually with each lodge, which is privately metered and approximate average cost of £350.00 per annum. 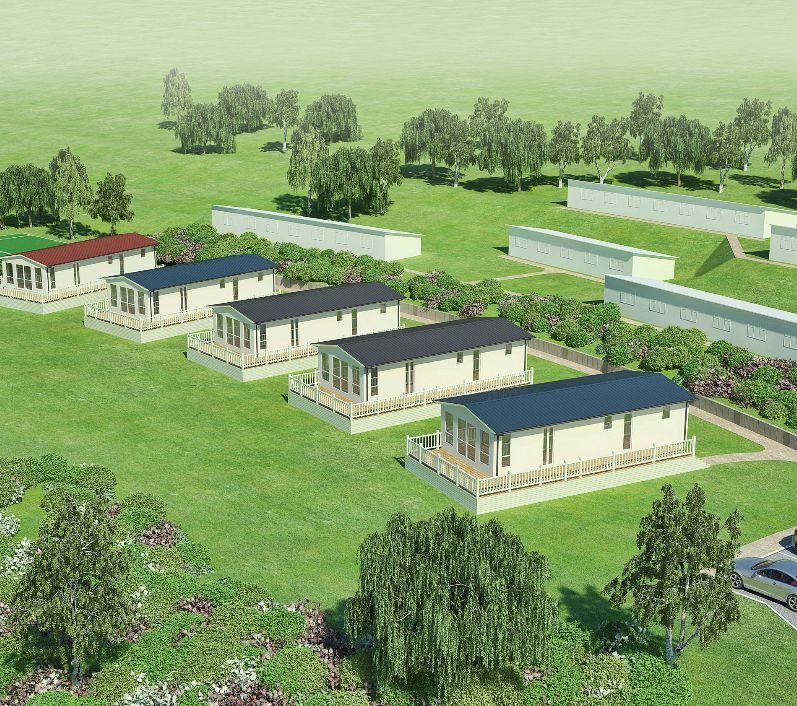 There is also an offset towards the running costs through our sub-let scheme if anybody desired their Lodge to be let via the Bideford Bay site when you are not using it then this could be arranged. Proceed from Bideford to Heywood Road roundabout at the roundabout turn left onto the main A39 signposted to Bude. Continue on this road for approximately seven and a half miles passing thorough the villages of Ford & Fairy Cross and then the next village is Bucks Cross. Go through Bucks Cross and then taking the next signposted turning right into Bideford Bay Holiday Park, proceed into the holiday park where the reception will be seen on your left hand side with car parking space. Go into the office to meet a member of staff to have a look over the lodges that are available. 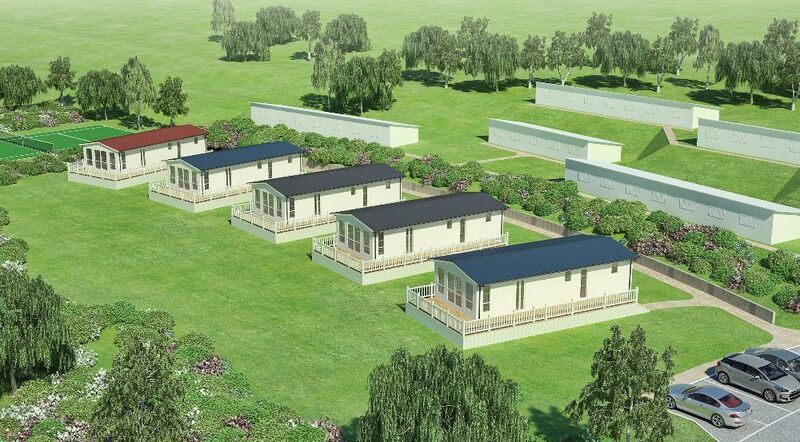 A development of five brand new lodges situated within a tucked away position within Bideford Bay Holiday Park. 2 or 3 Bedroom Lodges available with prices from �85,000 to �200,000.